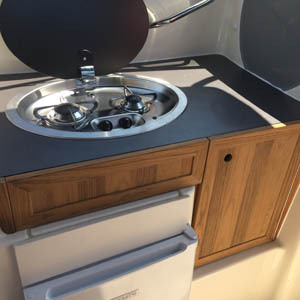 Teak products - Primus R d.o.o. 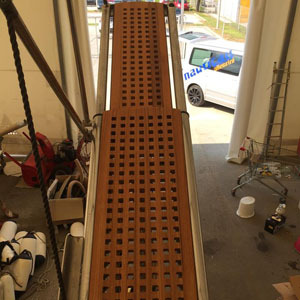 We make various accessories from teak, such as cabin kitchens, grates for docking bridges etc. and we restore and change grouting on teak decks. 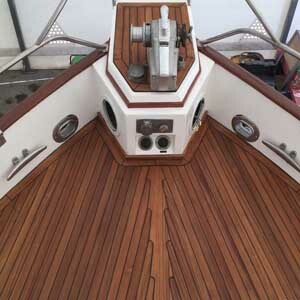 We also make teak walking surfaces. Additionally, we also provide surrounding surfaces for swimming pools, terraces and other surfaces based on your wishes. Teak is an ideal material for outdoor terraces and achieving the right stability. It is also the perfect choice for swimming pools. We make and install teak furniture on request and restore and coat your furniture. On demand, we also offer sandblasting of your furniture with our own sandblasting machine. A dock bridge is an indispensable part of any boat, as it represents a link between the land and the boat.